If you’re one of the 5,000,000 annual visitors to Hawaii’s “Gathering Place” chances are you’ve already set your sights on the endless bluewaters offshore. 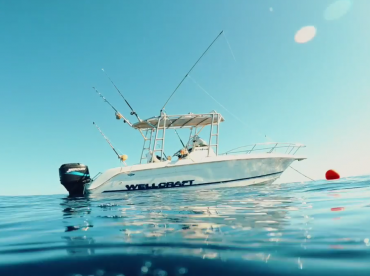 The deep sea fishing Oahu has on its doorstep is so good it would be rude to pass it up. Grander Blue Marlin, hard-fighting Striped Marlin, and the last name on most Billfish bucket lists, Shortbill Spearfish, can be caught well within sight of land. 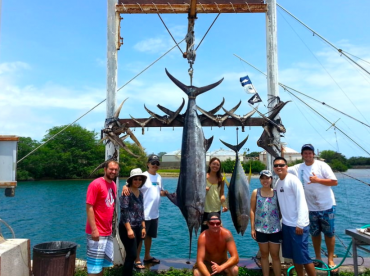 You can also find tasty big game species like Yellowfin and Bigeye Tuna (Ahi), Wahoo (Ono), Mahi Mahi, and Swordfish. 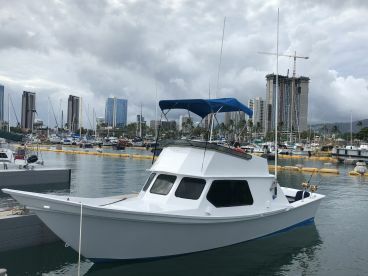 Oahu really is a paradise for deep sea sportfishers. But so is the rest of Hawaii, you say. What makes Oahu special? Well, Honolulu has the largest charter fleet outside of Kona for one thing. It also has the most going on off the water by far. This means you can enjoy day after day of world-class sportfishing without the rest of the family getting bored. The best bluewater action out of Oahu has to be FAD fishing. Over a dozen artificial Fish Aggregating Devices and many pieces of natural of flotsam surround the island, acting like oases in the vast desert of open water. If you’re looking for stunning topwater action, this is the place to be, with monster Marlin and Tuna hunting right on the surface. The best thing about these spots is that most of them are just 10 miles from shore. This means that even on a half day trip you can enjoy big game action that it would usually take you several hours just to get to. 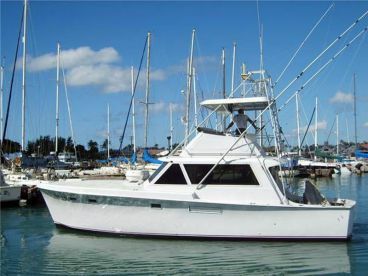 You can head out, hook some Marlin or Tuna, and be back in time for lunch. Stay out the whole day, and double-digit hookups and record-breaking catches are a genuine possibility. The great thing about fishing in Oahu - and Hawaii in general - is that you can find most fish year-round. Different species do have their peaks over the course of the year, though. Blue Marlin are at their best during the middle of summer, while Striped Marlin peak in the spring. Yellowfin Tuna are around all through summer and into fall. Just as they move on, Bigeye Tuna show up and stick around until the end of spring, so one Ahi or the other will always be around in force. The month of May has the best overall coverage if you’re after sheer variety. Anglers seeking a Billfish Slam should come this time of year, with Blue Marlin, Striped Marlin, and Shortbill Spearfish in decent numbers. If you’re the competitive type, though, you just have to visit in June. This is peak tournament season, with a half dozen events held over the course of the month. Most of the deep sea fishing around Oahu comes in the form of trolling. 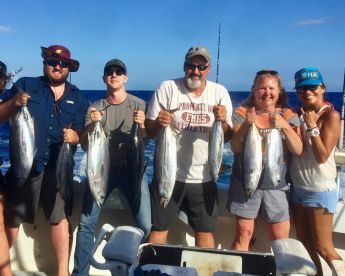 Tuna tubes are standard issue aboard larger boats and many guides specialize in trolling live Ahi or Aku (Skipjack Tuna). If you prefer using lures, you’ll find plenty of colorful spreads cutting through the waters offshore. 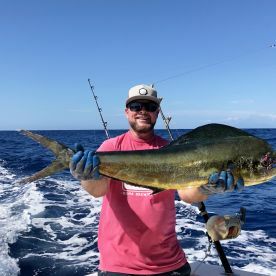 People have been catching Marlin on lures here before anyone on the mainland had even considered it, and inventive anglers are constantly coming up with new tricks. Just ask the guys trolling 40-inch fake Spearfish, nicknamed “Rubber Chuckers,” to tempt in monster Blue Marlin. 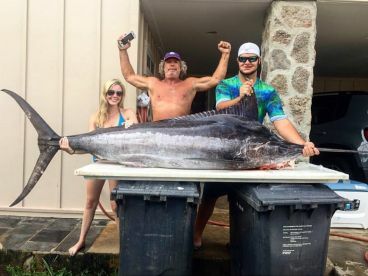 Billfish can be kept and sold in Hawaii, and many charter captains will do just that if you don’t state otherwise. 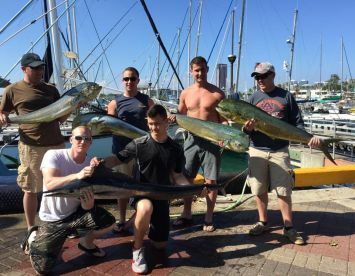 Always discuss what will happen to the fish before your trip if you are a strong believer in catch-and-release. The rest of the catch will be split between you and the boat, but you almost always catch more than you can eat, anyway.